In a blog last Summer I described later stages of the life cycle of Jalmenus evagoras, the Imperial Hairstreak butterfly. I watched Iridomyrmex ants attending the caterpillars and a male butterfly mating with a female immediately after it emerged from its chrysalis. 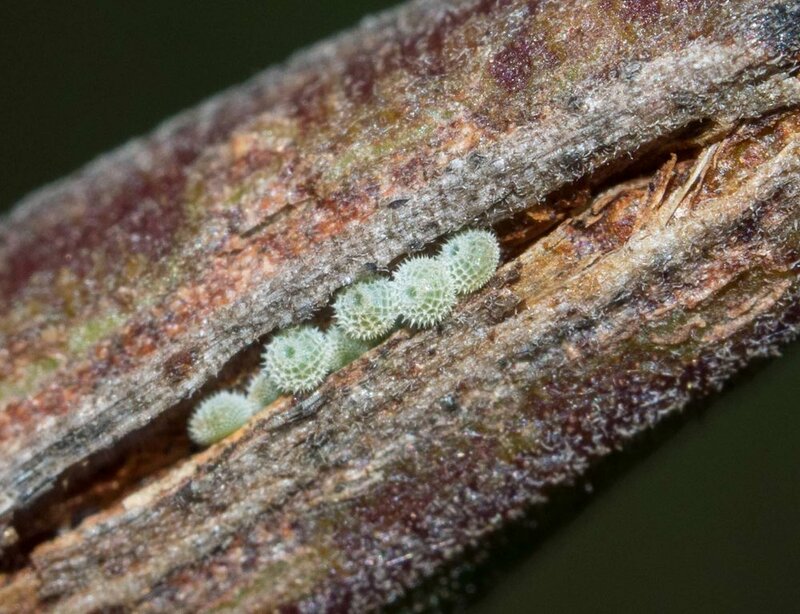 Today, I witnessed the first stage of the life cycle: egg-laying by the female butterfly on stems of Acacia mearnsii, the host plant for its larvae. 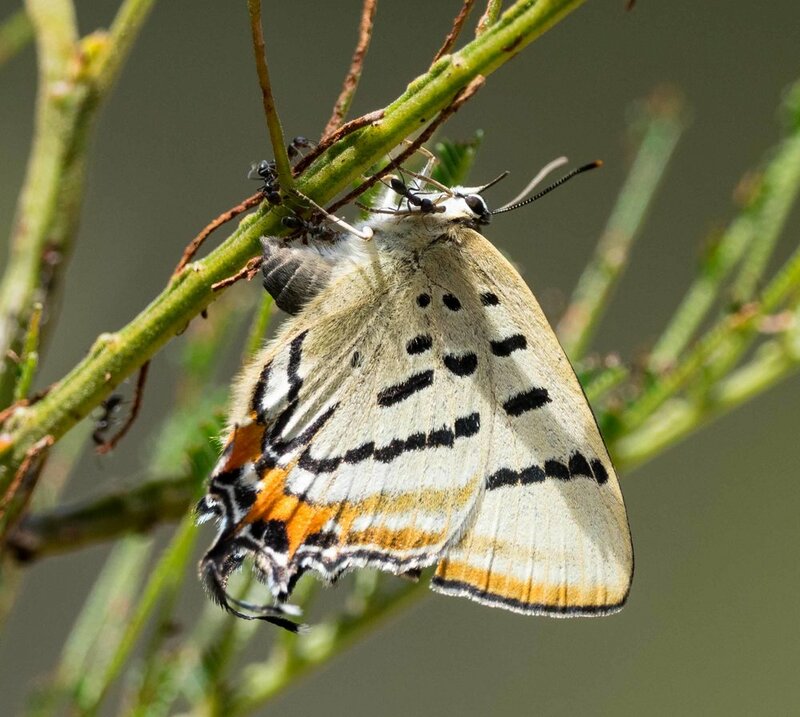 The female fluttered around the wattle bush, occasionally stopping to thrust its abdomen forward as it searched for a suitable oviposition site. 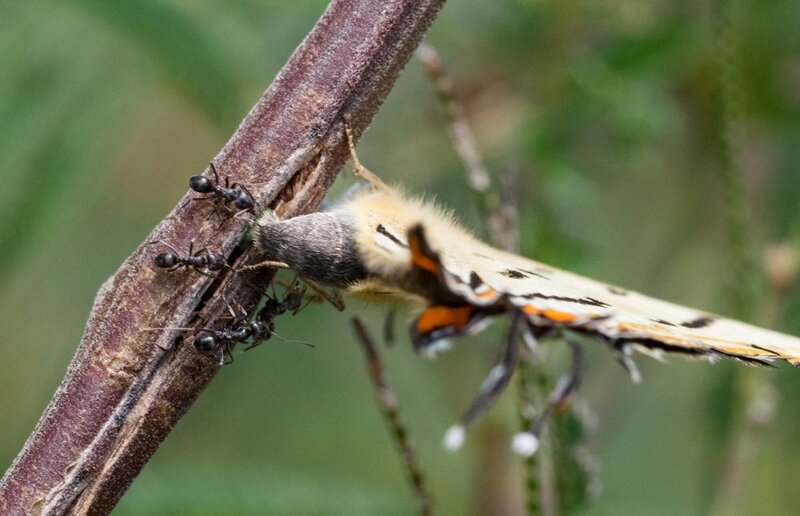 As the butterfly probed the stem, ants swarmed around it, encouraging it to lay eggs by stroking its abdomen. Eventually the female found a slit in the bark, settled down and proceeded to lay a clutch of eggs within that slit. The eggs are exquisitely sculpted, with serrated edges which keep them in place in the oviposition site. I've collected a pair of the eggs, which I'll keep under further observation. Hopefully I'll be able to see them hatch!